Manufacturer of a wide range of products which include basket filter. 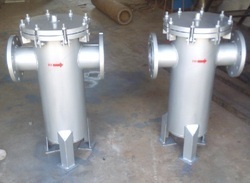 We manufacture basket filter in MS, SS304, S316, SS316L MOC and line Size 1" NB to 24" NB as per customer specifications. Looking for Basket Filter ?